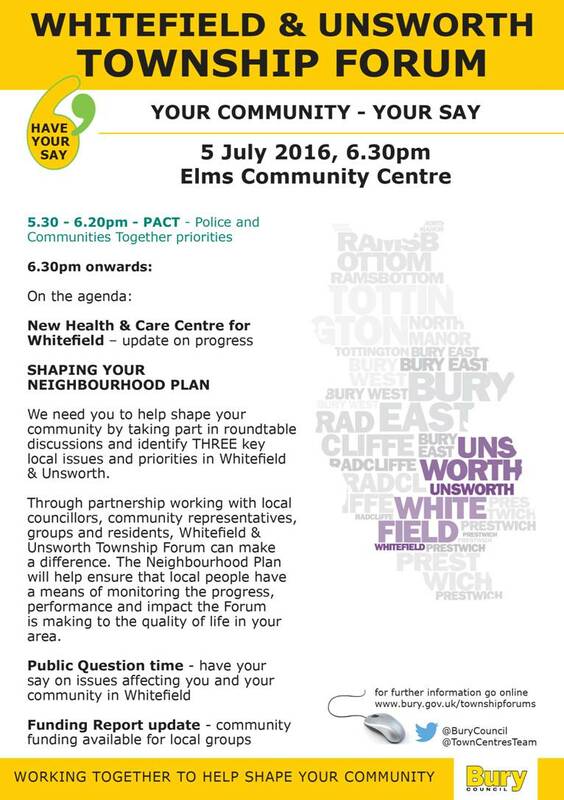 The next Whitefield & Unsworth Township Forum takes place on Tuesday 5 July, 6.30pm at Elms Community Centre. Please note: The PACT (Police and Communities Together) meeting will start at 5.30pm before the Forum. Meet your neighbourhood policing team and discuss issues one to one. For more details about Whitefield & Unsworth PACT meeting please contact GMP Bury South team on 0161 856 8204 BurySouth@gmp.police.uk.